Bean Bags R Us NewsDog BedsAre Bean Bags Good for Dogs? Bean bags are fun and exciting when used for games or as furniture. They are comfortable to sit on, and they make excellent beds. 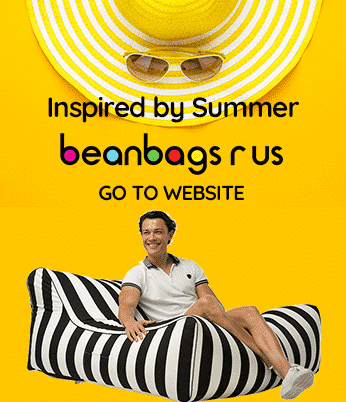 What is unique about bean bag chairs, however, is that they conform to the shape of your body, are affordable and can stand up to rough conditions. Not too long ago, a few wise people decided that it was a shame to keep bean bags to ourselves, and they began manufacturing dog beds out of them. Now, our best friends can enjoy all of the benefits of bean bags just like we do, and the best part is that they are good for them and invite deep, restful periods of sleep. Soon after introducing pets to bean bags, you will realise that they love them even more than we do. Your pets will not lie anywhere, but on their favourite bean bag bed no matter how much money you spent on the one they were using previously. It may have been made with memory foam or the latest space-age polymer filling, and it may have cost you a pretty penny, but an affordable bean bag provides everything your pets want and need, whether they are cats, dogs or other adorable, fluffy mammals. However, not any old bean bag will work for your pet. Dogs tend to chew on their beds more than people do, and some of them have exceptionally sharp teeth and claws. They would puncture the average bean bag and have it torn to shreds in no time. You also have to remember, though, that you cannot sacrifice comfort in the name of durability. Also, the bed must be as washable as your dog is, and it must dry just as quickly to maintain cleanliness and your level of comfort. The most durable and most effective fabrics for bean bags meant for pets are nylon and polyester, which may be coated with other materials to enhance their durability and resistance to harmful conditions. Cheap, mass-produced bean bags are usually made of 400D polyester, which is inexpensive, lightweight and can be used outdoors. However, it is not very comfortable, and because it is so thin, it is not suitable for dogs. An improvement over 400D polyester is 420D nylon. While the density numbers may not seem to be all that different, nylon is a stronger fabric than polyester is, so it does not have to be as dense to possess the same physical properties. One of the best fabrics to use for a dog bed is 600D nylon. This material is resistant to water and stains, and it very strong while remaining lightweight. However, 1680D polyester works just as well, and some people say it is sturdier than nylon without sacrificing comfort. • PVC/PU Coating – An outer coating of polyvinyl chloride (PVC) or polyurethane (PU) provides improved durability and additional weather resistance. PVC, however, will eventually break down in direct sunlight, and it is not breathable. PU coatings have properties akin to rubber but are breathable and can withstand a greater range of temperatures. • Antimicrobial Treatment – Antimicrobial and antifungal agents can be applied to the raw fabric and woven into the bean bag to resist the growth of bacteria, mould and algae, which can be helpful not only for your health but also for the health of your pets. • UV Protection – If you plan on using your bean bag bed outdoors, a coating that protects the fabric from ultraviolet radiation from the sun will keep the colours bright and sharp. The perfect dog bed is about much more than the fabric and other materials used to make it. It must also have a specific design that is amenable to our four-legged friends. While many popular bean bag chairs for humans are square or rectangular, the most comfortable shape for dogs is usually oval or circular. Round bean bag beds for dogs seem to hold their shape better than rectangular beds do, which means you spend less time levelling out the bed to make it more attractive and able to deliver a higher quality of rest. Another reason circular shapes are preferable is that there are fewer seams. A higher number of seams and distinct corners make the bed easier to tear into because they provide additional snagging points for claws and teeth. You will also want to ensure that the bean bag is double stitched with heavy nylon thread, but polyester is also acceptable. When it is double stitched, you will be able to catch and repair the bag before it is thoroughly compromised, and EPS beads become strewn throughout your home and your dog’s digestive tract. Another factor that you may want to experiment with is trying different designs for the top of the bed. While it is not necessary for most dogs, many of them enjoy a little warmth and fuzziness, such as that offered by faux fur, fleece or microfiber. Size is critical when it comes to traditional beds that are stuffed with polyester fibre, frequently referred to as polyfill. However, with a bean bag, you have quite a bit of flexibility as long as the bed is at least slightly larger than your dog. This is because a bean bag shapes itself to the weight and dimensions of whatever or whoever is resting on it. Bean bags are one of the most ergonomic types of furniture there is, and doctors are recommending them to help people with back problems and other medical conditions. You are perfectly fine with a bean bag bed that is two or even three times larger than your dog as long as you have the space for it. The type of filling in the dog bed is also paramount. Some natural filler is nothing more than seed husks or dry rice, which are not very practical because they can be sharp or lumpy and absorb water. The best type of filling material is virgin EPS beads. Virgin EPS beads are polystyrene, also known as Styrofoam that are specially made for bean bags. They are resilient, comfortable and last for one year or longer before they need to be replaced.